Sometime last year the Write Tribe website went down! I tried everything I knew – but I kept getting the same error message. Kaput…over. I thought we would lose all our data and more importantly all the links on the linkies. I contacted the Indian operation of our hosting provider and even though I had backups, they couldn’t (or wouldn’t) quite understand what I was saying. I called their US office only to be told I would have to pay about USD 150 (more than the cost of hosting!) to restore the website. I went in to panic mode! And decided I would pay the money if I had to. Before I went ahead, I called Vidya Sury informing her of what had happened. She asked me to hold the transaction until she messaged her friend, Vanita Cyril of Strategic Mama. Within minutes Vanita, who is in the US, was on Google chat with me and after she had found out the mess I had made what the problem was, proceeded to resolve it in less than 15 minutes! Knowledge, patience, straight talking and generosity is what I will associate with Vanita Cyril from that day on. Vidya and Vanita are Write Tribe’s blogging angels! Today Vanita is making a super offer to us all and one that you mustn’t miss: A SUPER SEO SALE. Learn what topics you should be writing more on. Learn what topics you’re wasting your time on. Those with a high percentage of niche related keyword terms can submit the report to advertisers when pitching to sell ad space or sponsored posts. Have real search engine keyword stats – generated by industry renowned software – to place within your media kit. The exact search terms you rank for in Google. The exact placement of that search term within the top 20 Google Search Results. What posts/pages on your blog those terms link to. The percentage of your Google traffic due to each specific term. How many people are searching for those exact terms each month. How many websites are competing with yours for those specific terms. Why wouldn’t you want to get this report today? 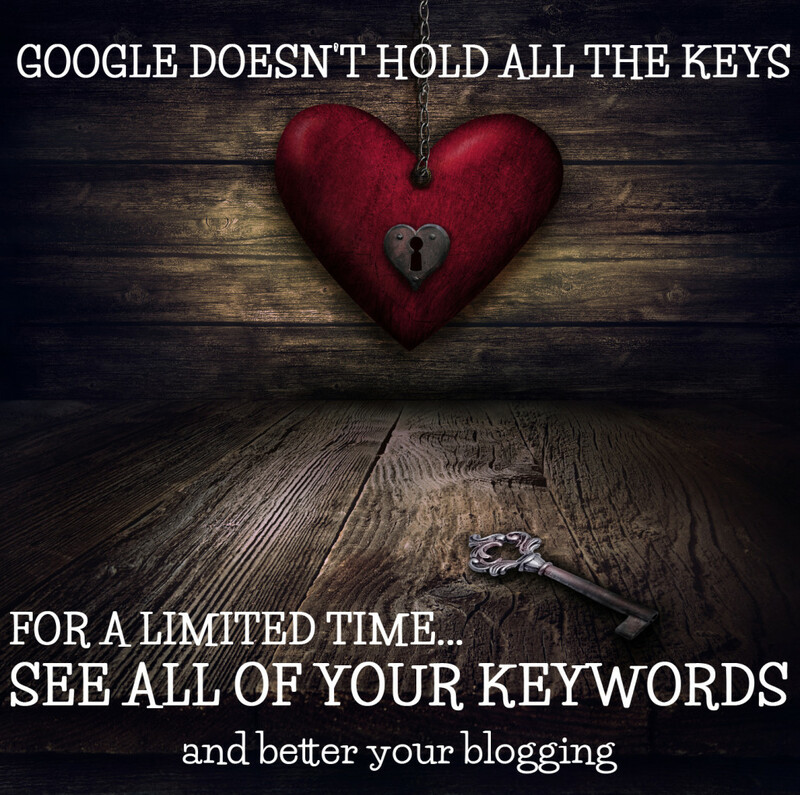 The more you know about blogging, the better your blog will be! Knowledge is power and you can convert that into money. Thanks for this offer Corinne and Vanita. I’ve paid up and am eagerly awaiting my results. I’m certain, Vanita will deliver and your website will shine, Kalpanaa.